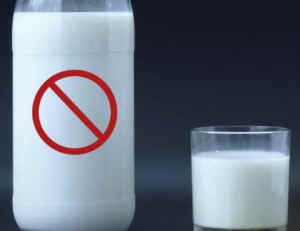 You don’t need dairy or supplements to get enough calcium (in fact they may be a hindrance rather than a help). As long as you eat a calorically sufficient whole-food, plant-based diet that drastically reduces or completely eliminates added sodium, you’ll get all the calcium you need. Radford, L., Bolland, M., Gamble, G., Grey, A., & Reid, I. (2013). Subgroup analysis for the risk of cardiovascular disease with calcium supplements. BoneKEy Reports, the Journal of the International Bone and Mineral Society. Rosane Oliveira, DVM, PhD is Founding Director of the UC Davis Integrative Medicine program and Adjunct Assistant Professor at the Department of Public Health Sciences at the School of Medicine at the University of California, Davis. Blending a life-long passion for food and nutrition with over 20 years of scientific experience in genetic research, Dr. Oliveira is devoted to educating people about how food and lifestyle choices can affect genetic expression—i.e. how genes are turned on and off and either cause disease or promote health. She is a native of Rio de Janeiro, Brazil and has lived in the US since 2003.